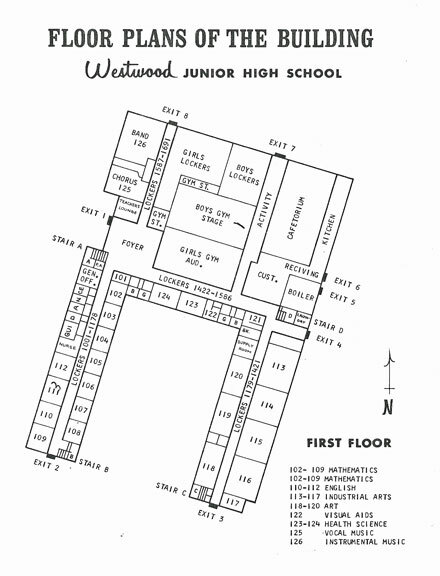 This building was originally to be called Westwood Hills Junior High, as it was built on part of 30 acres of the Westwood Hills Golf Course. The land was purchased from the Murrimac Co. after a referendum was passed in the spring of 1958. The address is 2025 Texas Ave. So. 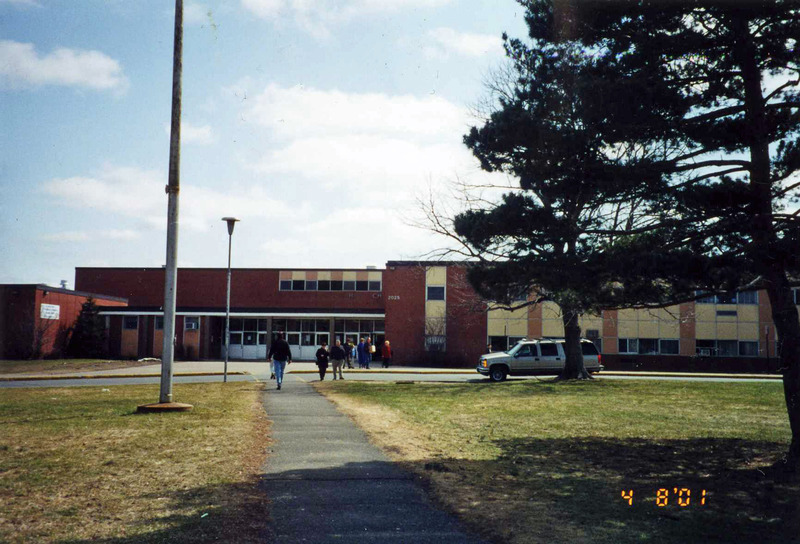 The school was built to supplement Central Jr. High and was designed to serve up to 1,200. 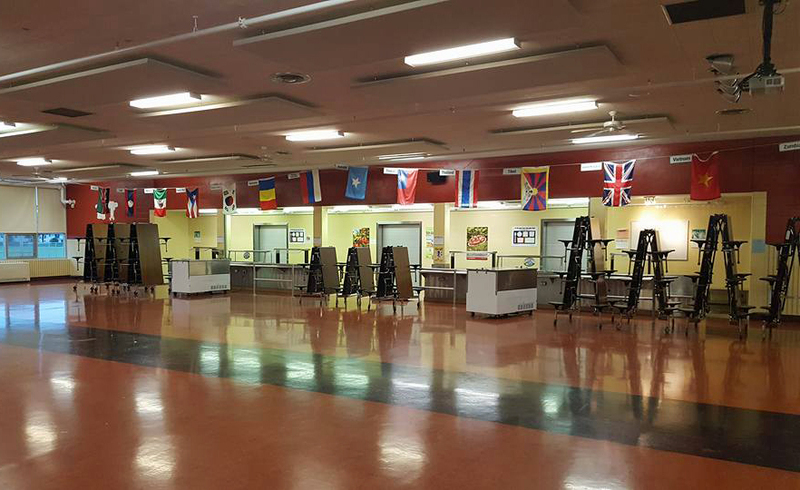 The school originally had 28 classrooms, special rooms for industrial arts and home ec, and a “cafetorium” that featured lunch tables that folded into the wall to create an auditorium-type space. Some of the most famous students to attend Westwood are Senator Al Franken and Joel and Ethan Coen. Groundbreaking was held in August 1958, attended by Queen of the Lakes (and Miss St. Louis Park) Sharon Bigalke. 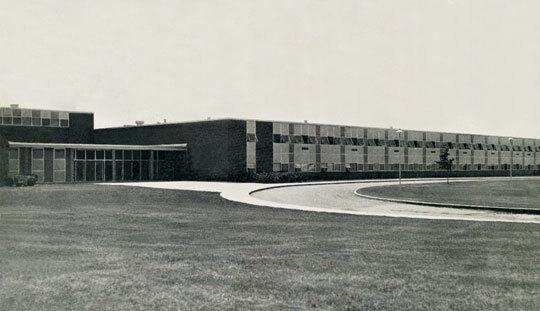 The school opened its doors in September 1959 and 2,000 people attended its dedication on November 1, 1959. Paul Schroeder was principal from Day 1 until 1983. That first year, enrollment was 757. Enrollment in 1960 was 881 students. New in 1961 was the Drama Club, which drew 46 students and was headed by teacher Allen Mulligan. 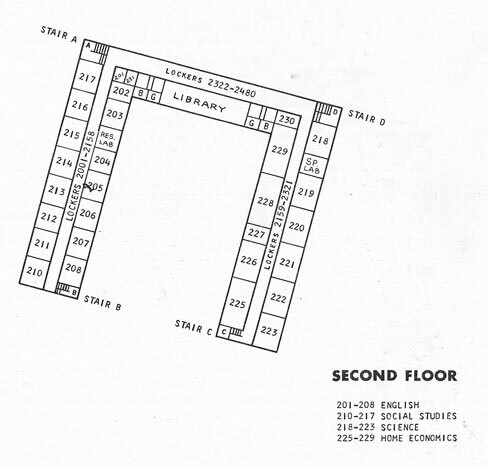 In 1967 additional classrooms and a swimming pool were added. 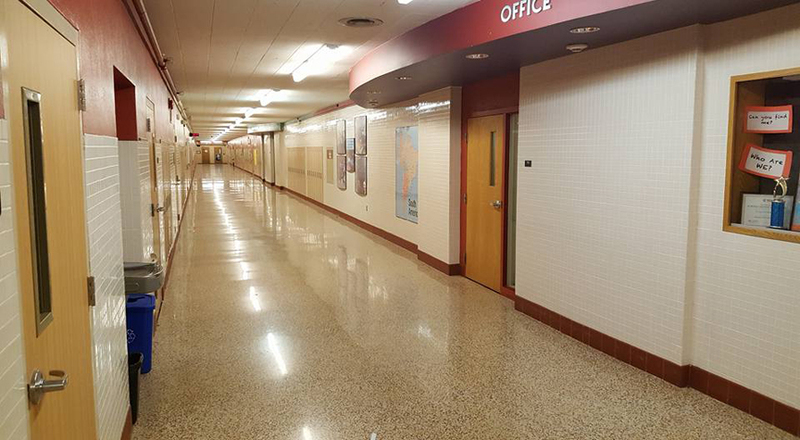 There were two science classrooms, six general classrooms, and one room for special education. 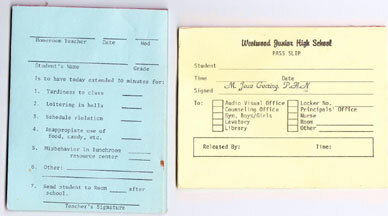 In 1970 the school went to modular scheduling at a cost of $100,000. The high school followed. Hubert Humphrey came to the junior high to speak and answer questions from students. 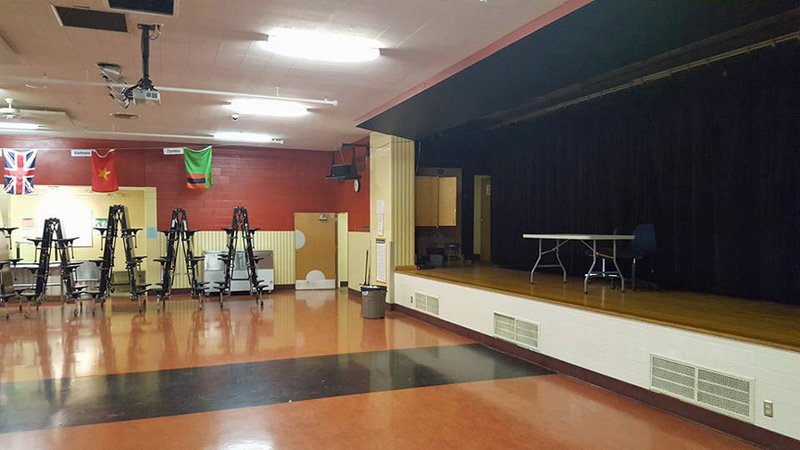 His presentation was in the school cafeteria, which also had a stage. Walter Mondale also spoke at Westwood about that time. He spoke in the gymnasium. An April 1975 Westwinds reported that the Shop Club, open to boys and girls, had 40 members. In a sad turn of events, the Westwinds newspaper reported that a girls’ “weight club” was started in January 1976. In 1980 the school became St. Louis Park Junior High when the Central building no longer functioned as a junior high school. Although the school was built around a courtyard, students were not allowed in. Ducks were, however – they nested there every spring, and the Biology teacher had to go in with a butterfly net and round up the new families and bring them to a nearby pond. 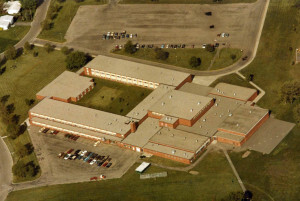 In 2012 the school became St. Louis Park Middle School, serving students from Grades 6-8. Donations of additional copies are very welcome! The Historical Society has several issues of the Westwinds newspaper, which began publication in 1959. In 1961 the newspaper was produced by members of a journalism class led by teacher Shirley Hattendorf. The editors that year were Kathy Thorbeck, Susan Walman, Susan Radosevich, Holly Hovde, and Janie Laiderman.